understand their potential roles as contributors to such online crowdsourcing projects. Whittierpedia can be a perfect compliment to courses where students may be learning new vocabulary, or be introduced to major thinkers and theorists, for writing intensive courses, and local history courses. It is a great introduction to markup languages and can be a gateway to fostering interests in computer science and coding. 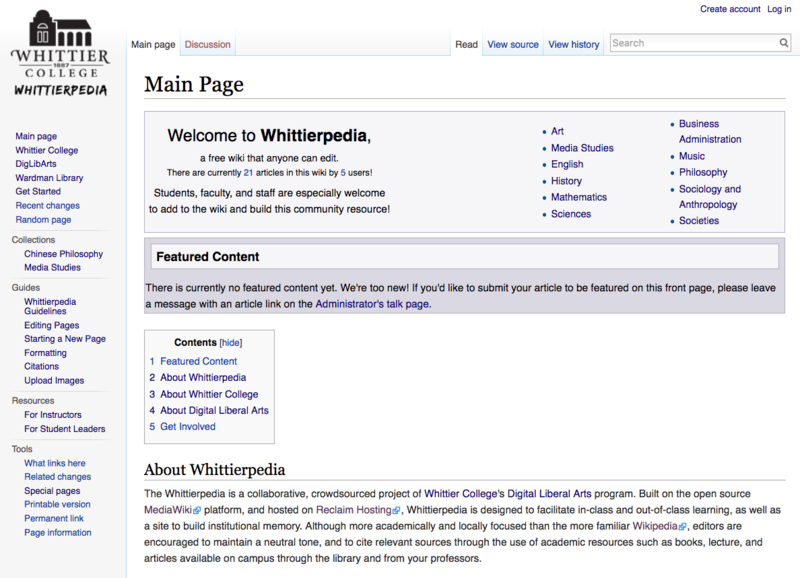 Anyone can join and edit Whittierpedia, and no special permissions are needed. It is completely open and free to use, with the most open Creative Commons license applied to all work published in the wiki. In addition, you can learn more about Wikipedia’s own education initiative: Wiki Education Foundation, and about teaching with the much larger Wikipedia. The Wiki Edu foundation also offers a trove of materials and tutorials, as well as sample assignments for specific disciplines, case studies, research, and more. These resources are available here. 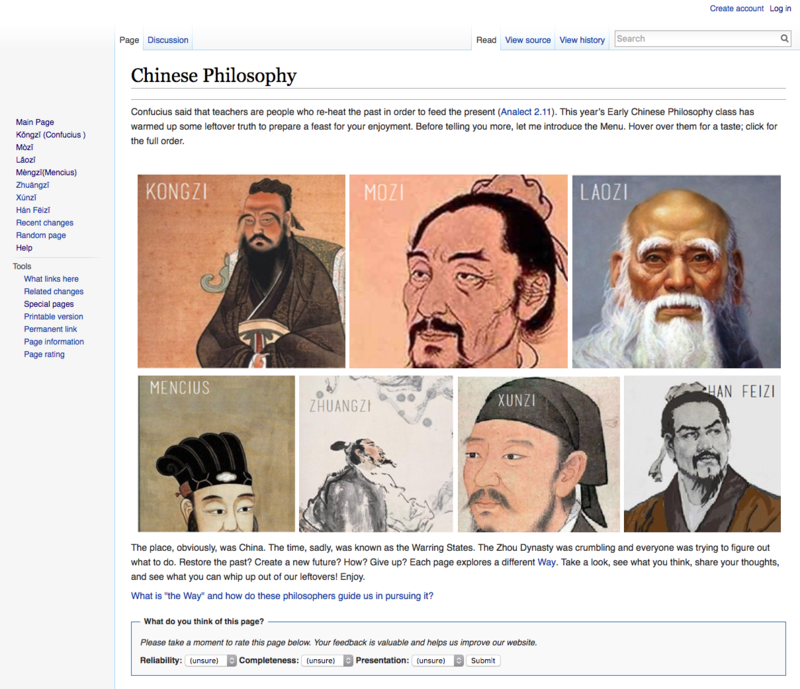 In Fall 2016, Paul Kjellberg created a wiki for his Chinese Philosophy class, which served as a model that informed the current Whittierpedia project.